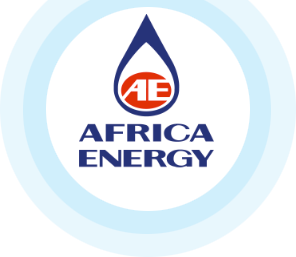 VANCOUVER, November 8, 2018 /CNW/ – Africa Energy Corp. (TSX Venture: AFE) (Nasdaq First North: AEC) (“Africa Energy” or the “Company”), an oil and gas company with exploration assets offshore Namibia and South Africa, announces financial and operating results for the three and nine months ended September 30, 2018. The financial information in this table was selected from, and should be read in conjunction with, the Company’s unaudited condensed interim consolidated financial statements for the three and nine months ended September 30, 2018 (the “Financial Statements”) and the Annual Information Form, which are available on SEDAR at www.sedar.com and the Company’s website www.africaenergycorp.com. The Company’s operating expenses were consistent for the three months ended September 30, 2018 compared to the same period in 2017. The Company’s net loss decreased $0.1 million for the three months ended September 30, 2018 compared to the same period in 2017 due to an increase in interest income as a result of increased cash from the private placement executed in May 2018. The Company’s operating expenses and net loss increased for the nine months ended September 30, 2018 compared to the same period in 2017. Stock-based compensation increased $0.7 million due to the issuance of 18.2 million stock options during the first nine months of 2018 compared to 2.5 million options granted during the nine months ended September 30, 2017. Stock exchange and filing fees increased by $0.2 million due to the secondary listing on Nasdaq First North Stockholm. These increases were partially offset by a $0.3 million decrease in new venture costs in 2018 as the Company acquired geological and geophysical data during the first nine months of 2017. As at September 30, 2018, the Company had cash of $37.9 million and net working capital of $38.1 million compared to cash of $3.1 million and negative working capital of $1.9 million at December 31, 2017. The Company’s cash and net working capital improved significantly compared to the end of 2017 due to the completion of a private placement in the second quarter of 2018 for gross proceeds of approximately $45.0 million. The use of any of the words “will”, “expected” and similar expressions and statements relating to matters that are not historical facts are intended to identify forward-looking information and are based on the Company’s current belief or assumptions as to the outcome and timing of such future events. These forward-looking statements involve risks and uncertainties relating to, among other things, changes in oil prices, results of exploration and development activities, uninsured risks, regulatory changes, defects in title, availability of materials and equipment, timeliness of government or other regulatory approvals, execution of partners and shared owners, actual performance of facilities, availability of third party service providers, equipment and processes relative to specifications and expectations and unanticipated environmental impacts on operations. Actual future results may differ materially. Various assumptions or factors are typically applied in drawing conclusions or making the forecasts or projections set out in forward-looking information. Those assumptions and factors are based on information currently available to the Company. The forward-looking information contained in this release is made as of the date hereof and the Company is not obligated to update or revise any forward-looking information, whether as a result of new information, future events or otherwise, except as required by applicable securities laws. Because of the risks, uncertainties and assumptions contained herein, investors should not place undue reliance on forward-looking information. The foregoing statements expressly qualify any forward-looking information.